Throughout Kirkpatrick’s career her work has explored the female figure, family narratives and contemporary issues of being a woman. Heidi’s intent is to create works of art that are approachable in form and content, are interactive, yet fragile. 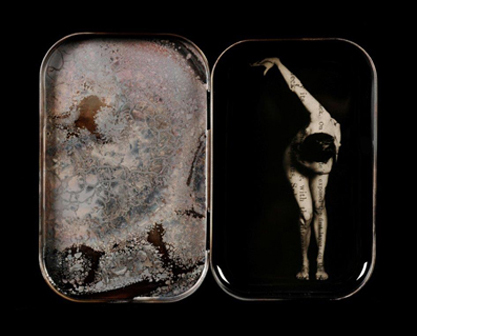 Kirkpatrick applies film positives onto objects such as vintage children's blocks, books, mahjong tiles, ashtrays, and tins, creating unique photo objects that take on a new life. Kirkpatrick has exhibited widely over the last fifteen years and her work is held in numerous private and public collections including The Museum of Fine Arts, Houston, Texas; The Harry Ransom Center, Austin, Texas; Springfield Museum of Art, Ohio; The Ogden Museum of Southern Art, New Orleans, Louisiana; OHSU Corporate Collection, Portland, Oregon. 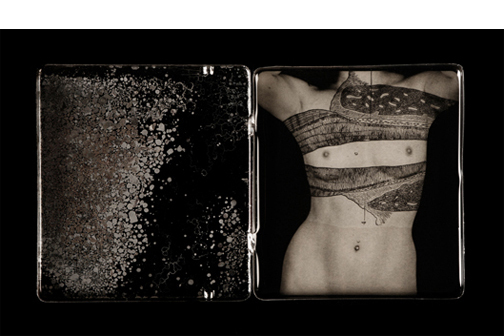 Heidi was also selected for the Photolucida Critical Mass Top 50 in 2011, 2012, and 2013, and was awarded the solo show award in 2012. Heidi’s work was also selected for LensCulture Emerging Talent Awards Top 50 in 2014. Kirkpatrick is represented by G. Gibson Gallery, Seattle, Washington; Panopticon Gallery in Boston, Massachusetts; Wall Space Gallery, Santa Barbara, California, Dina Mitrani Gallery, Miami, Florida and High Noon Culture in Beijing, China.